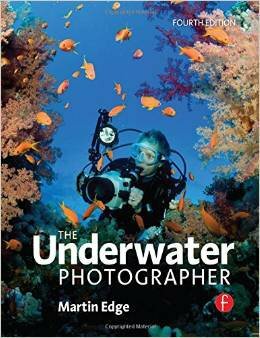 Easily understood, yet encyclopaedic in its scope, Martin Edge’s book is considered by many to be the bible for underwater photographers and is INON UK’s recommended text for INON UK instructor candidates. Martin is one of the best-known underwater photography educators in the business. He has written a monthly column detailing how to take better underwater photographs for Sport Diver Magazine for over 20 years and has won many awards for his own underwater imaging. He was the 2006 recipient of the Visions in the Sea award for outstanding contributions to underwater photography. Running to over 500 pages, The Underwater Photographer is lavishly illustrated. Among the six specialist authors Martin seconded to this project are INON UK principal, instructor/trainer and Level One course co–designer Steve Warren and Mark Koekemoer , INON UK instructor/trainer, co-designer of the INON UK Level One underwater photography course and designer of the INON UK Level Two Underwater Lighting course. Mark is also the owner of underwater photography equipment retailer The Underwater Camera Company.